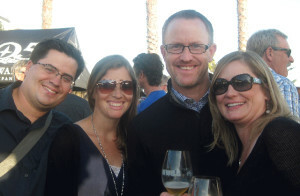 The Waves, Wine and Beyond party continued Friday with Rabobank’s Barrel to Barrel grand wine tasting event at the Cliffs Resort in Pismo Beach. Attendees enjoyed samples from over 50 visiting wineries, breweries and restaurants, and a live performance by Girls + Boys. Nice. Looks like alot of fun. And then they all got into their vehicles and drove home. No worries, they were classy wine drinkers so there should not be any problem… It;s not like regular people getting drunk and driving..